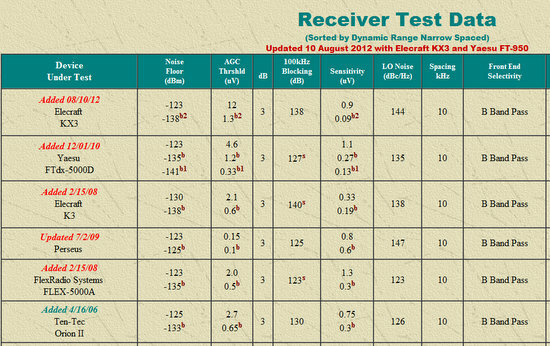 Wow–the Elecraft KX3 has some serious ears! Most impressive, Elecraft! This entry was posted in Announcements, News, Portable, QRP and tagged Elecraft KX3, Elecraft KX3 Performance, Elecraft KX3 Test Data, KX3, QRP, QRP Radios, Sherwood Engineering. Bookmark the permalink.